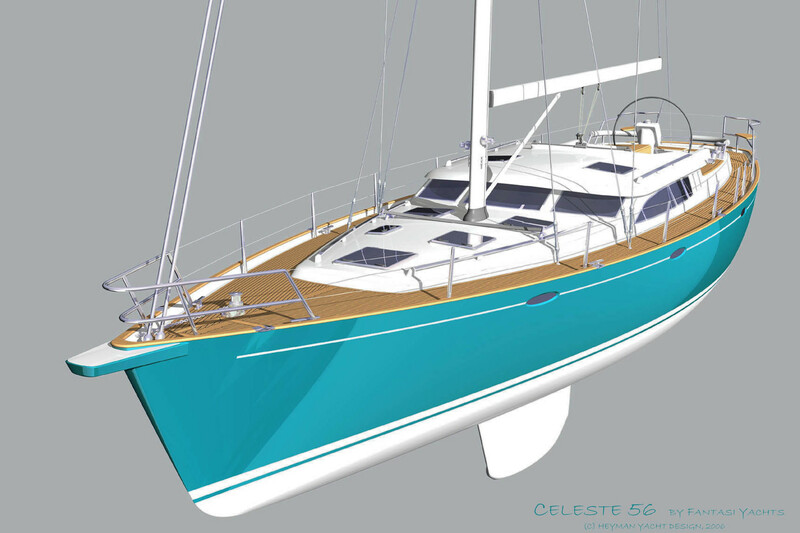 A bigger sister to the Fantasi 44 Pilothouse? “(this introduction) has turned out to be a huge success for the yard. Three and a half years’ production have been sold, ten boats at the moment, and delivery time is eighteen months. 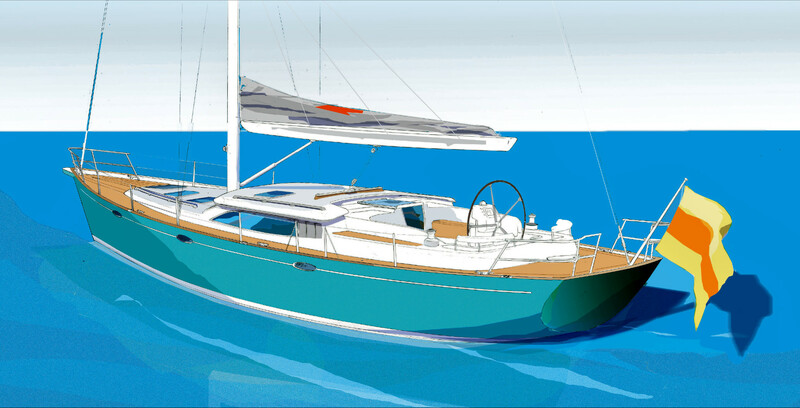 The Fantasi 44, in the Classic and Pilothouse versions, has appeared at only three different floating boat shows, Oslo, Southampton and the local show in Orust. She has been test sailed, more or less by coincidence, by only three magazines and the praise she has received is overwhelming! in another issue of Yachting World she was ‘Editor’s Choice’ at the Southampton Boat Show. “…it was the unusual, but effective interior of the Fantasi that I liked. – ..the sleeping cabins…on the Fantasi have just that much extra space which would make it more liveable-in for long periods” said the Editor, Andrew Bray. And she performs. From owners, the yard gets reports of passages made at consistent average speeds of between 7 and 8_ knots. Even on the wind she is capable of astonishing speeds, like the 44 #1 which averaged 7,4 knots during twenty-four hours across the North Sea, close hauled! While the Fantasi 44 Pilot House turned out to be something of a success (she is a wonderful yacht, but was built only in a limited production), she was also a not-too-big yacht packing in a lot of features. 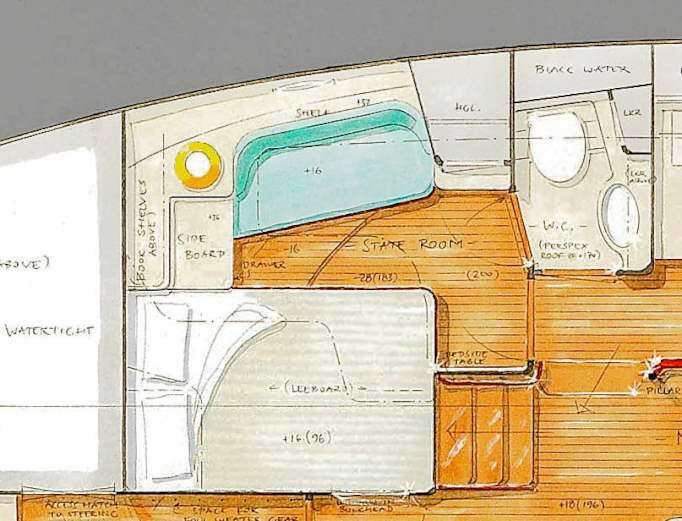 This was good for the owners but not so good for the builders who felt that it would make sense to offer a bigger yacht; with more room for installations, a bigger model would even be easier to build and might perhaps even cut work hours. But also from customers there was a demand for a bigger sister. 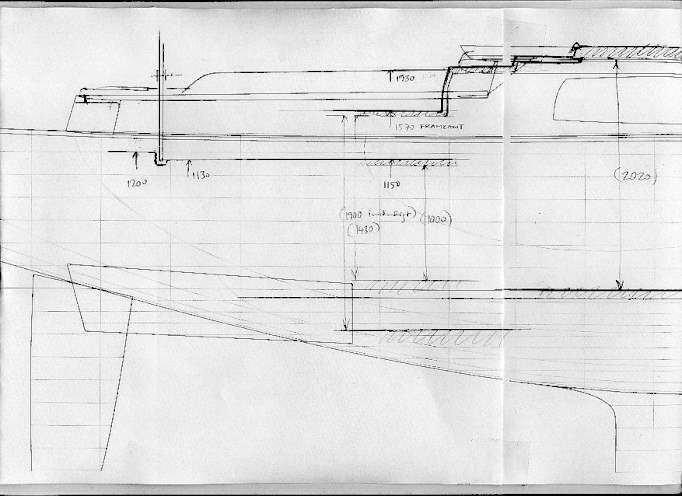 Fantasi Yachts was interested to respond to this demand and asked us for a new design, around 10 feet longer. The first 44 was launched in 1997 and we set out in 1999 to design her bigger sister. 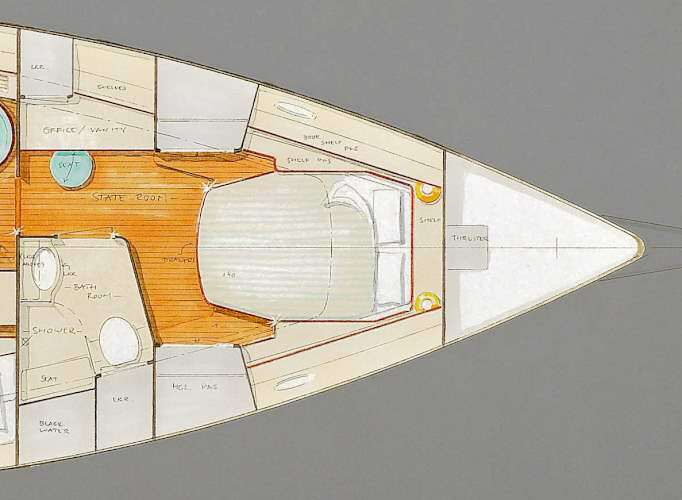 At that time, a number of so-called ‘deck saloon’ (DS) and some rare ‘pilot house’ boats were appearing on the market – it was quite a vogue. 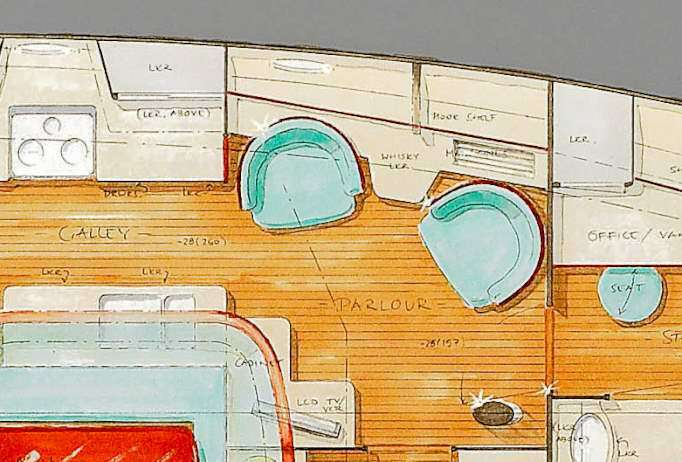 But very few of these yachts were innovative, and more or less none of them made clever use of the interior space or tried to open up the raised interior to connect with the lower levels. In short, and with a few exceptions like the Waquiez range, we found most boats on the market outright boring. We wanted to achieve so much more with this follow-up on the Fantasi 44. 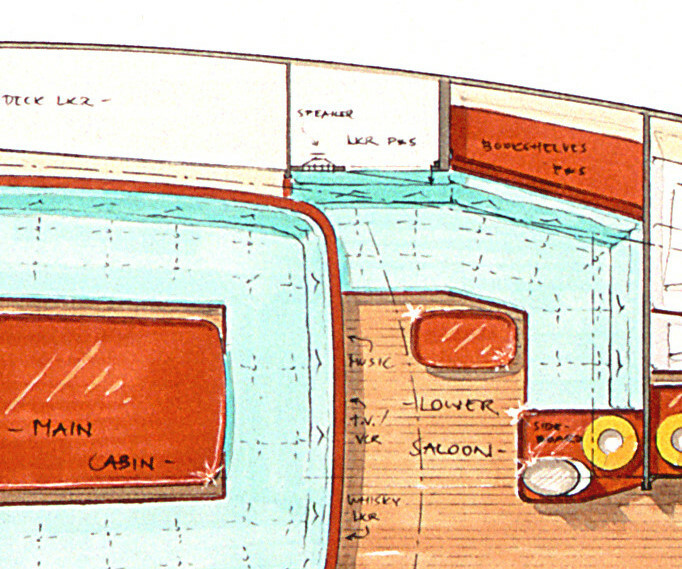 What we set out to do was to make a completely novel type of layout, with a lower level throughout the yacht, combined with a raised level, and to offer visibility and sight lines throughout. 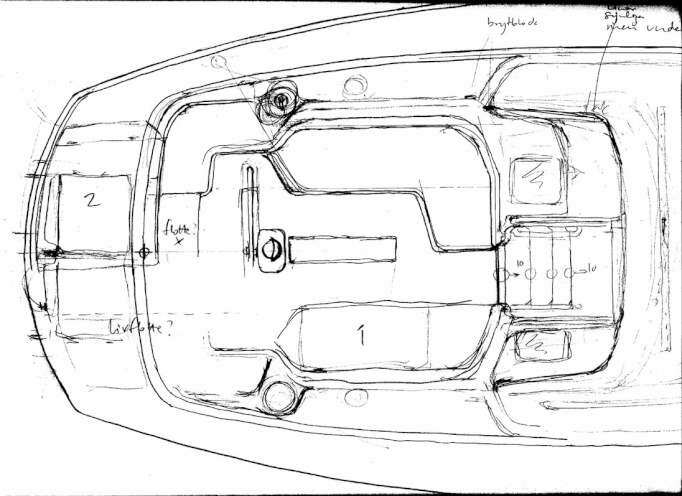 In addition, like with the 44, this interior was to be set in a more powerful, efficient sailboat than the competition. Between 1999 and 2006, a number of different concepts were tried and tested. 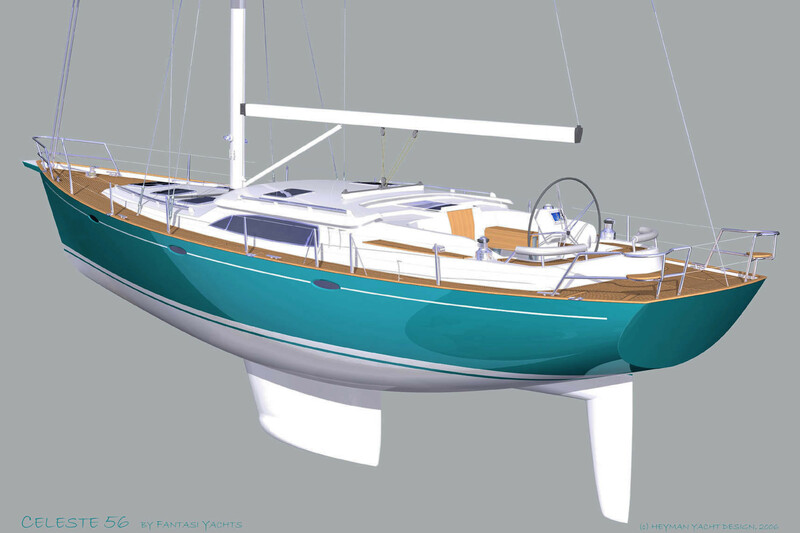 However, Fantasi Yachts was only a small family yard and it was a difficult decision to invest in moulds. In 2007, we tried the idea of instead making the new yacht under the new brand name Celeste Yachts, teaming up with outside investors. Then, in 2008, the yacht market plummeted and the project came to a temporary halt. However, a host of good concepts from this development work are being used in the drawings for a 52’ pilot house design, presently on the drawing board. 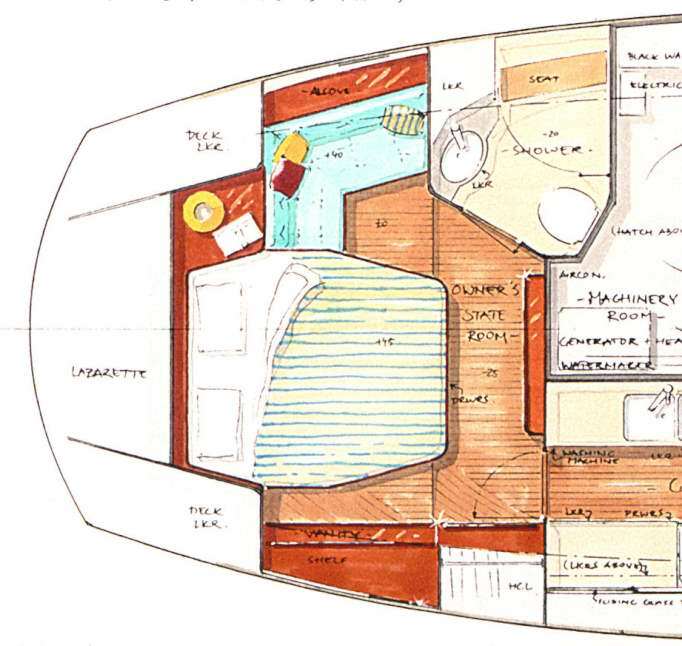 The challenge in all these designs is combining an aft cockpit with a spacious aft cabin, as well as making the main cabin interact with the downstairs interior. 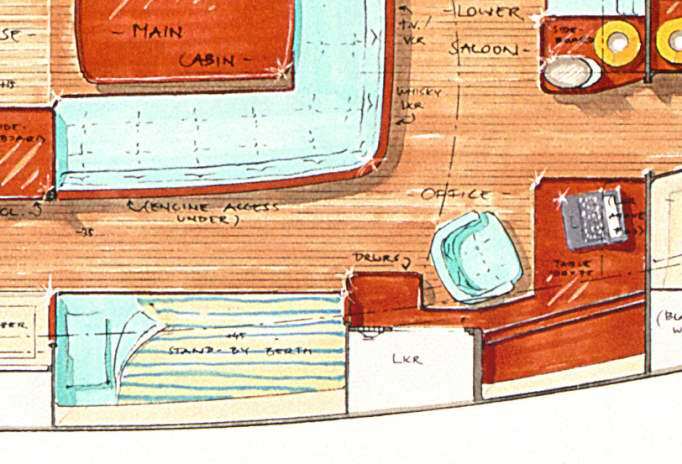 Then there are all the other aspects – making an accessible engine room, different stow rooms, guest cabins, sea berths and offering an outside view from all compartments. 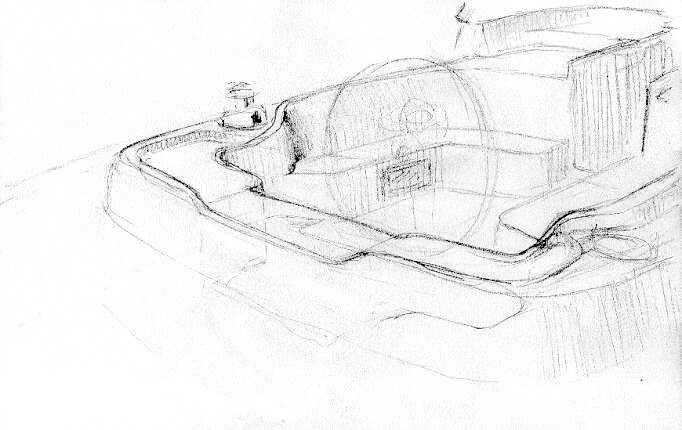 And, the greatest challenge of all, tying these areas together and creating a sense of space. Sail area (100% fore triangle) 143 m_ 1540 sq.ft.